Helping our neighbors since 1913. 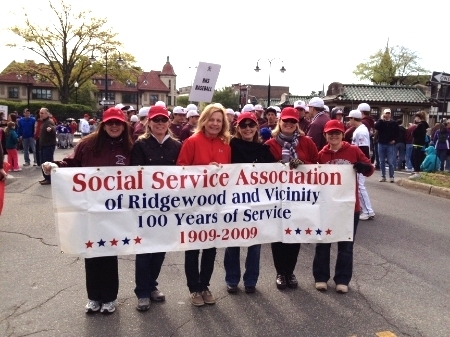 For over 100 years, the volunteers at Social Service Association of Ridgewood & Vicinity have been dedicated to helping the local community. We are neighbors helping neighbors — on a mission to provide food, emergency rent, utility assistance and support services to individuals & families in Ridgewood, Glen Rock, Midland Park, Ho-Ho-Kus, Wyckoff and Waldwick, New Jersey. SSA is a non-profit organization supported by people just like you. Your donations and support go directly to people in the local community who are struggling to overcome short or long-term obstacles. Ready to take the next step? Come volunteer, sponsor an event, or donate to our food pantry. Be a part of SSA today. Participate in one of our many programs that concentrate on the needs of families and individuals. SSA of Ridgewood and Vicinity seeks to help individuals and families overcome barriers that prevent them from achieving their short and long-term goals. We are an organization that values empathy, compassion and above all respect. We listen to each other, and value open, honest and nonjudgmental interactions. We actively build coalitions among a broad spectrum of individuals, community and corporate based organizations in our work to seek positive change for individuals and families in the community.